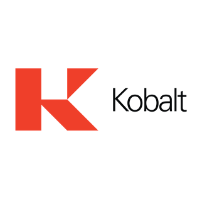 Kobalt is a music and technology company built for artists, songwriters, publishers and labels as an alternative to the traditional music business model. Kobalt’s commitment to technology, transparency, and creators’ rights has driven tremendous growth year-over-year for the company and its clients. Today, Kobalt’s Music Publishing, Neighbouring Rights, and Recordings/AWAL divisions serve over 25,000 songwriters, 600 publishers, and 20,000 independent artists, including Childish Gambino, Miles Davis, Dave Grohl, Enrique Iglesias, Lauv, Lorde, Zayn Malik, Bob Marley, Marshmello, Max Martin, Paul McCartney, Elvis Presley, The Weeknd, and many more. Kobalt represents on average over 40% of the top 100 songs and albums in both the US and UK.